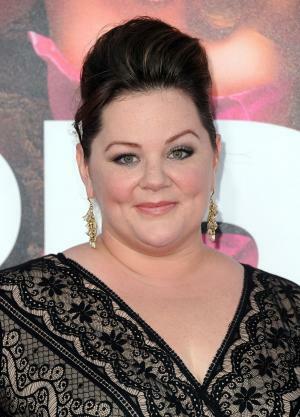 Melissa Ann McCarthy was born on August 26, 1970 in Plainfield, Illinois, the United States of America. Melissa is well known as an actress, comedian and writer as well as a producer, all of which are sources of her income. Melissa McCarthy is a winner of the Primetime Emmy Award for the Outstanding Lead Actress in a Comedy Series, a nominee of the Oscar, Screen Actors Guild Award and BAFTA. McCarthy has been active in the entertainment industry since 1997. So how rich is Melissa McCarthy? Sources have estimated that Melissa McCarthy’s net worth reaches the decent sum of $20 million. According to Forbes’ list of the Highest Paid Television Actresses Melissa takes 17th place with a salary of $6 million compared to Sofia Vergara in 1st place with a salary of $19 million. Melissa McCarthy is a graduate of St. Francis Academy. As with most of comedy actors, she began her career as a stand-up comedian. In 1997, Melissa debuted in an episode of the television series “Jenny” created by Howard Gewirtz, Mark Reisman. Later, she starred in the comedy drama series “Gilmore Girls” (2000 – 2007) created by Amy Sherman Palladino. Other significant roles that McCarthy landed on television were Dena in the sitcom “Samantha Who?” (2007–2009) created by Cecelia Ahern and Donald Todd, and the role of Molly Flin in the sitcom “Mike & Molly” (2010 – present) created by Mark Roberts. Melissa debuted on the big screen in the film “Go” (1999) directed by Doug Liman. Later, she appeared in the starring roles in the films “The Nines” (2007) directed by John August, “Pretty Ugly People” (2008) written and directed by Tate Taylor, “Bridesmaids” (2011) directed by Paul Feig, “Identity Thief (2013) directed by Seth Gordon, “The Heat” (2013) directed by Paul Feig, and “St. Vincent” (2014) written and directed by Theodore Melfi. In 2014, McCarthy debuted as a screenwriter and executive producer of the film “Tammy” (2014) directed by Ben Falcone, in which she also starred alongside Susan Sarandon, Allison Janney and Toni Collette. The film has earned more than $100 million while having a budget only $20 million. Moreover, the director of the film was awarded the Palm Springs International Film Festival and McCarthy won People’s Choice Awards as the Favourite Comedic Movie Actress. Currently, Melissa is working on the upcoming film “Michelle Darnell” in which she will have the leading role as well as working as a screenwriter and executive producer. During her career Melissa McCarthy has been nominated 74 times and won 20 awards. She has collected all major nominations including Academy Awards, BAFTA Awards, Critics’ Choice Movie Awards, Satellite Awards, and Screen Actors Guild Awards, and won the Primetime Emmy Award. In addition to these, she has received many audience and critic’s nominations and awards among which are People’s Choice Awards, MTV awards, Boston Society of Film Critics, Chicago Film Critics Association and many others. Needless to say, all those nominations have had a positive impact on Melissa’s wealth. Due to her popularity, it is expected that the overall amount of McCarthy’s net worth will continue to rise. In 2005, Melissa McCarthy married her husband the actor Ben Falcon. The family has two daughters named Georgette and Vivian. 1 There's an epidemic in our country of girls and women feeling bad about themselves based on what 0.5% of the human race looks like. 2 I grew up with funny and interesting women, and my friends are funny, interesting women. So I can't think of any story where those women don't come into play. It's the same as how I can't imagine writing a story with no men. It's just not real. 3 You push so far past the normal boundaries of what's okay in society. I'm always fully aware of "You can't do this." When someone really believes in what they're saying, but it's crazy, it's like my favorite thing on earth... Crazy's just crazy and there's nowhere to go. You can have a point of view, it can be very strange, but we have to know your reasoning. 4 [harsh review from a critic focusing on her weight] I felt really bad for someone who is swimming in so much hate. I just thought, that's someone who's in a really bad spot, and I am in such a happy spot. I laugh my head off every day with my husband and my kids who are mooning me and singing me songs. 5 I believe it matters how you treat people. I believe in Heaven. 6 [on wardrobe problems] I want separates, for the love of God, because everything's like a bad prom dress. You can find a million bad sleeveless dresses in satin. I'm like "Where's a good blouse and a great trouser?". 1 Her favorite film is Planes, Trains & Automobiles (1987). 2 Her father is of Irish descent, with roots in County Longford and County Armagh, and her mother is of Irish, German, and English ancestry. 3 Parents are Michael and Sandra McCarthy. 4 Received a star on the Hollywood Walk of Fame at 6927 Hollywood Boulevard in Hollywood, California on May 19, 2015. 5 Attended and graduated from St. Francis Academy (now Joliet Catholic Academy) in Joliet, Illinois. 6 Grew up on a farm and loved playing tennis. 7 Gave birth to her 2nd child at age 39, a daughter Georgette Falcone on March 22, 2010. Child's father is her husband, Ben Falcone. 8 Gave birth to her 1st child at age 36, a daughter Vivian Falcone on May 5, 2007. Child's father is her husband, Ben Falcone. 9 Is good friends with Octavia Spencer. 10 Alumni of the improvisational comedy troupe The Groundlings, where she was a member for nearly 10 years. 11 Returned to work 4 months after giving birth to her daughter Georgette to begin filming the 1st season of Mike & Molly (2010). 12 Returned to work 3 months after giving birth to her daughter Vivian to begin filming the 1st season of Samantha Who? (2007). 13 Is close friends with her former Samantha Who? (2007) co-star Christina Applegate. 14 Cousin of Amy McCarthy, Lynette McCarthy, Joanne McCarthy and most famously, Jenny McCarthy, on whose show, The Jenny McCarthy Show (1997), Melissa made her on-screen debut in 1997. The Nines 2007 performer: "As Long As He Needs Me"
2015 Star on the Walk of Fame Walk of Fame Motion Picture On May 19, 2015. At 6927 Hollywood Blvd.